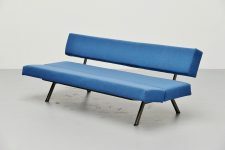 Fantastic shaped and made daybed sofa made by unknown manufacturer in Holland 1960. 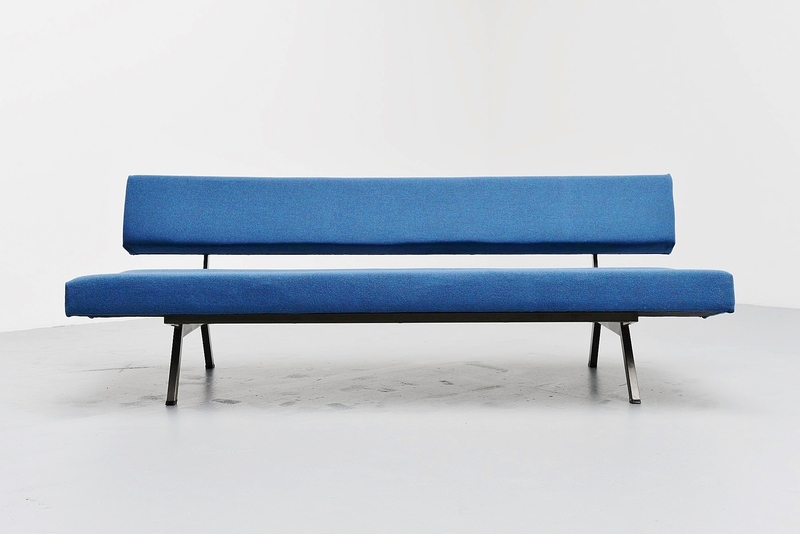 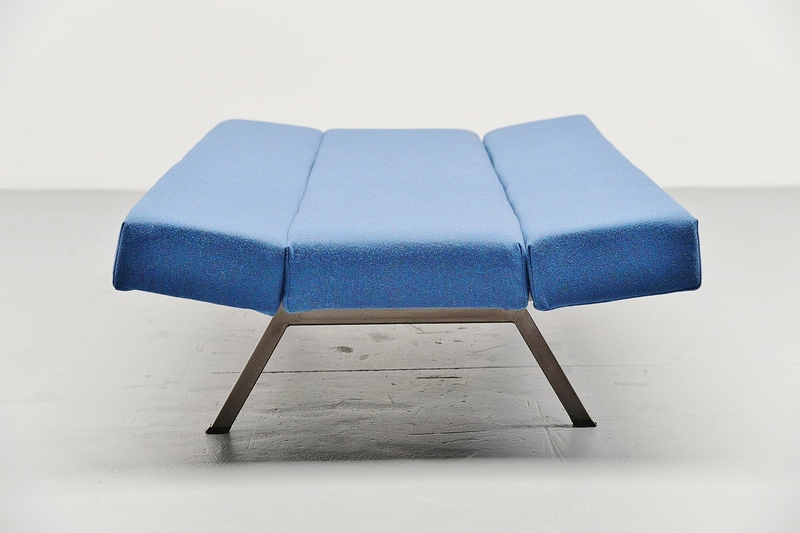 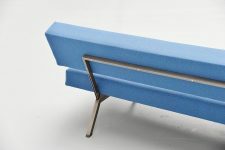 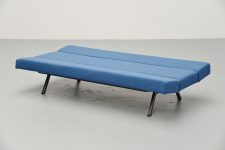 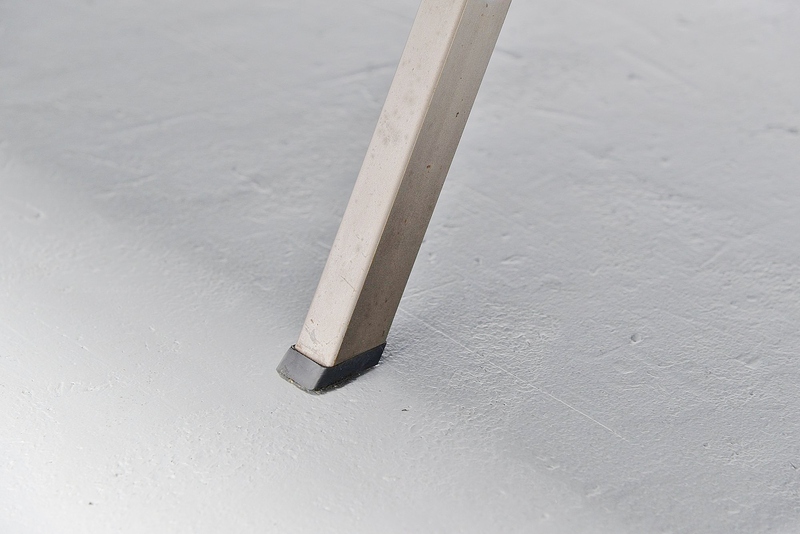 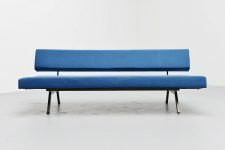 This has a metal frame and blue upholstery by Kvadrat, this is the fabric called Flora-2 786. 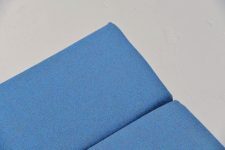 This fabric is designed by Erik Ole Jorgensen, high quality and beautiful fabric. The sofa has a foldable back which slides into the frame and creates a very nice looking daybed. 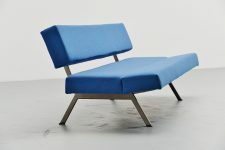 Well thought sofa, comfortable seating for multiple uses.